The bilingual eight-year-old cousin of popular preschool star Dora the Explorer, Diego lives in Latin America. Along with his sister Alicia, Diego spends his days at the Animal Rescue Center helping animals in trouble. 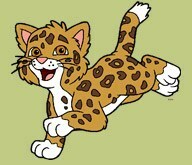 Diego is spirited and very enthusiastic about the animals and habitat where he lives. 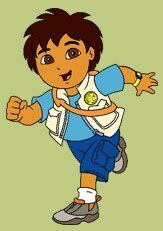 Diego is Dora's older cousin; Dora makes several guest appearances in the series, usually without Boots. Diego’s 11-year-old sister Alicia, a computer whiz who is also bilingual, directs the animal rescue calls that come into the center. She also assists Diego in helping the animals they love. Alicia is responsible and kind-hearted, and always kind to her little brother. Diego’s friend Baby Jaguar is the animal closest to Diego’s heart. His youthful exuberance sometimes gets him into precarious situations. 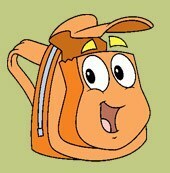 Diego’s trusty messenger bag “Rescue Pack” sees him through every adventure. Rescue pack can turn into different modes of transportation depending on Diego’s needs. The Rescue Pack theme song is better than catchy, with an upbeat Latin rock sound. The trusty pack usually gives kids at home a few choices from which they must help Diego decide the best mode of transportation for the situation. 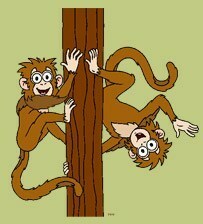 Nothing spells trouble like a couple of mischievous spider monkeys. The BoBo Brothers are always engaged in silly monkey business and often get in the way of Diego on his rescue missions.